Base map is revision no .1, dated Jul. 12, 1960. This annotated version dated Aug. 1960 on verso. 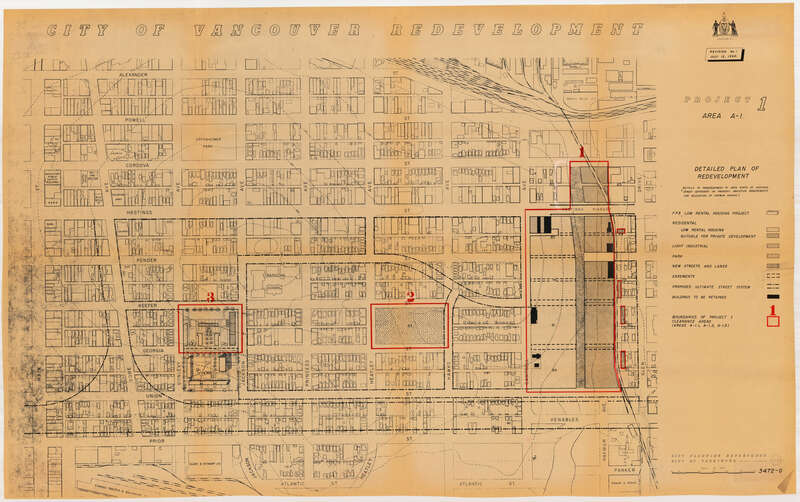 Item is a map showing housing types, new streets and lanes, easements, and buildings to be retained as part of Project 1, and the boundaries of areas A1.1, A1.2, and A1.3. 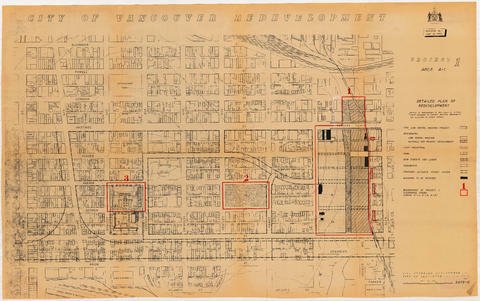 Base map shows streets, outlines of buildings, and topographic contour lines for the area from Main Street to Glen Drive and Alexander Street to Atlantic Street.